St. Michael’s Rowing Club was founded in Dun Laoghaire Harbour in the early 1920s. Today the club consists of over 100 members, from all walks of life, with all abilities catered for, from complete beginners to experienced rowers. 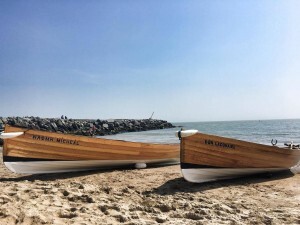 In common with our sister clubs on the East Coast of Ireland, members of the East Coast Rowing Council, we practice coastal rowing in traditional skiffs, unique to this part of the world. 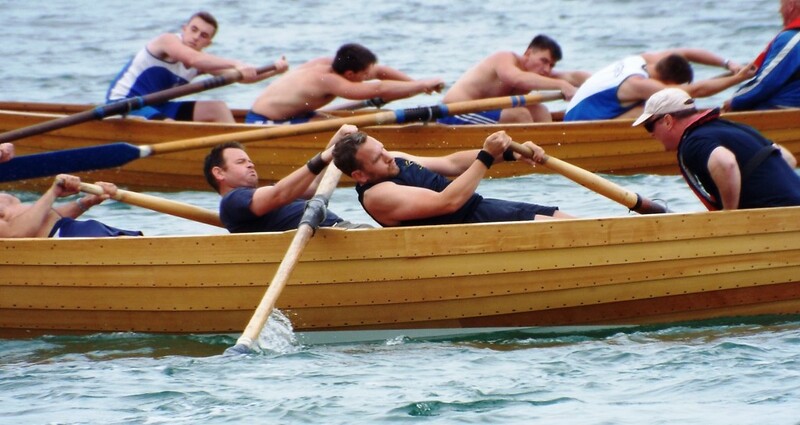 With fixed seats, wooden oars, and clinker-built boats, the sport as we know it differs significantly from our freshwater ‘Olympic-style’ cousins. Coastal rowing at St Michael’s Rowing Club combines all the positive aspects of team sport, seamanship, fitness, competition and the great outdoors. We cater for men, women and children, ranging from Under-12s to veterans, and with all levels of aspiration, from the recreational to the serious athlete. We compete in sprint races on the East Coast regatta circuit as well as longer challenge events. Our crews train Monday to Friday from March to September, from 6pm to sundown. We have five traditional wooden boats: the Dunleary (1972), the Eileen (1981), the St. Michael (1999), the Dun Laoghaire (2014), and the Naomh Micheal (2015). 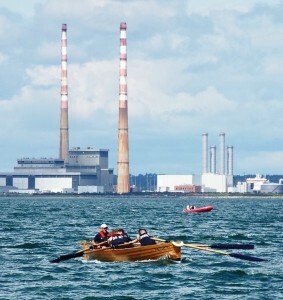 During the summer months our crews compete on the East Coast regatta circuit run by the coastal rowing clubs from Skerries to Arklow, with racing available from Under-12s to veterans. There are races for mens, ladies, boys, girls, mixed, and novice crews. Our Home Regatta at the back of the West Pier is a great spectacle and family day out. We also participate in long distance rowing races such as the biennial Celtic Challenge, which is a gruelling 150km crossing from Arklow to Aberystwyth in Wales, and put forward crews in the annual All-Ireland Coastal Rowing Championships. Many of our members choose not to partake in the cut and thrust of racing, and prefer just getting out on the water in and around the scenic environs of Dun Laoghaire. The club also has an active year-round social aspect, with our good friends at McKenna’s pub always happy to help with our celebrations, and house our trophy cabinet.